Welcome to the Soviet Century Alternative Universe project! Or, as it could be less pretentiously named, the Cold War 2020 AU. As the name implies, it explores the political and military (and obviously, shipbuilding-related) aspects of a fictional timeline where the Soviet Union survives the events of the late 80s and early 90s, out to the late 2010s, more or less in time for the centenary of the October Revolution. I have been tinkering with this timeline for a fairly long time now and this Shipbucket AU is but its second incarnation on a public platform, and the first to take on the naval angle. Time will tell what I will be able to make of it. Though I put an emphasis on realism as opposed to wishful thinking (within limits), this will not be a type-1 alternate timeline, and the driver for deviation from IRL will be my intention to attain a desired state rather than the careful mapping of potential outcomes. Lastly, please note that I am not that interested in flashpoints and conflagrations, and that the canon timeline within this AU will be a mostly peaceful one, or at least one without WW3. Non-canon digressions around specific events are not excluded. I will not bore anyone with the real-life history and geography of the Soviet Union as it was, and since I have not added any land mass or moved any border, no map should be necessary. 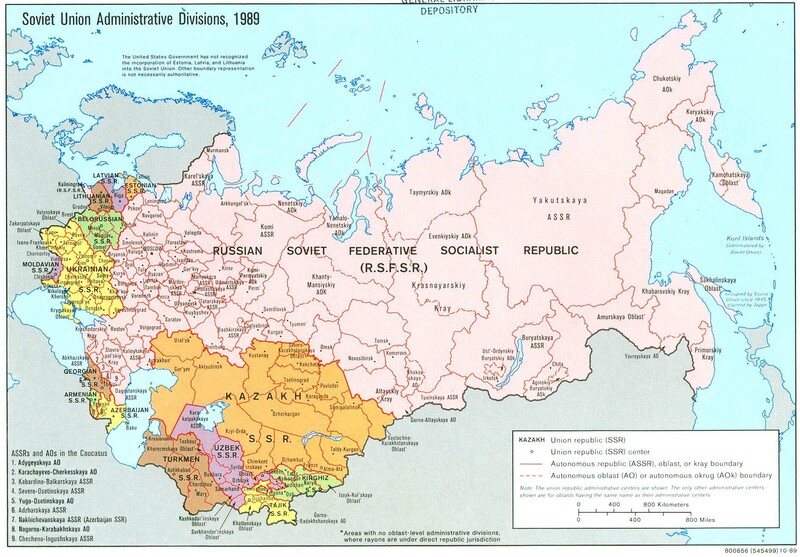 Take a map of the Soviet Union in, say, May 1989, and we'll start from there. Despite the title, the extent of the timeline will be limited to 1989-90 to 2017-2020, not to the whole 1917-2017 century. The end-post shifting to the right is not excluded, but older never-built and fictional designs will be covered elsewhere. The timeline deviations may originate from and center on Soviet affairs, but the overall scope of the project within SB confines will not be limited to Soviet designs or service. As much as time, skill, sources and imagination allow, I intent on tackling unbuilt and fictional designs for other countries as well. The more a country is potentially affected by the timeline deviation, the higher the chance it will be covered. Let it be stated clearly that this is not an exercise in Soviet apologetics. I have no nostalgia for the old Soviet regime, neither do I harbor specific resentment, having never been directly affected by it. Neither is it about Cold War nostalgia per se. I cannot say with a straight face that anything was better during the Cold War than it is now. Some might say that things were simpler then, but I'm tempted to write that off as an effect of historical perspective. Without, for the purpose of this project, going as far as considering the Cold War arms race one of the greatest scams of the 20th century, I am neither part of any military nor a political militarist at heart, and do not resent or regret the post-1990 draw-down in defense spending and focus. The resulting release of political tension can't be ignored, and, putting aside my somewhat immature fascination for the topic, as a citizen I am deeply worried about the current re-militarization trend affecting the Western world. Not that we've covered the negatives, let's just say that this small AU project is meant to explore unrealized avenues of military-technical and strategic development in a specific environment and time period. To reconcile yesterday's strategic context with today's technologies in a manner that I hope will be both realistic and interestingly divergent, or at least not too stupid. Content posted here on SB will be mostly related to ship design, rather than historical developments. This AU thread will cover only the time-span between the IRL fall of the Soviet Union and a fuzzy endpoint between the present day and 2020. Divergence will start from the mid-80s but mostly will not be felt until ca. 1989, for reasons I will elaborate on later. While I have a fairly precise view of the start of the timeline, I want to publish something consistent from the outset rather than spoiling the interesting points by pushing stuff out piecemeal. I know all this is not in line with most of the AUs explored here, what with centering on a specific time period instead of one country, and being on the whole closer to actual history and with a shorter span, but I hope that the content will be up to scratch and be able to interest and entertain you all. The coastal frigate Project 1166 started life in the mid-80s with an attempt by the Zelenodolsk design office to put forward a new class of light surface-action ships. The design office had created most of the light frigates and coastal anti-submarine ships in recent memory, and expected a similarly large production order to sustain industrial capacity through the 1990s. Though the design would see the light of day, shifting priorities with the Soviet military-industrial complex would shorten the production run somewhat. The coastal frigate Project 1166 started life in the mid-80s with an attempt by the Zelenodolsk design office to put forward a new class of light surface-action ships. The design office had created most of the light frigates and coastal anti-submarine ships in recent memory, and accordingly spent the 1980s developing a new such design building up on previous generations and leveraging modern systems to improve its combat capability. A significant production volume was expected for both Soviet service and export to client states. The original design associated a straightforward hull reminiscent of the earlier Pr.1159 with up-to-date combat systems, including Uran compact AShMs, Medvedka ASW rockets and Kortik combined gun-missile CIWS, all backed up by a complete suite of over- and under-water sensors and a newly developed combat data management system. As a result, the first ships were noticeably more expensive than equivalent ships from the previous generation. Export interest in the original Pr.11660 variant was nil, and even the Soviet authorities were reticent to export such advanced weapons and systems. Only three hulls were produced for the Soviet navy, interspersed among the early Pr.11661 production run. All three ships would see good service in the Black Sea Fleet, heading several coastal protection brigades over the years and periodically deploying to Syria or Serbia to show the flag in times of tension. As soon as the lead ship finished construction, it became clear that the systems integrated in the Pr.11660 frigate were raising the unit costs unacceptably, lowering the production rate and blocking export opportunities. Zelenodosk converted the second hull on-the-fly to a low-cost version using legacy systems. On the same hull as the earlier ships, the Kortik CIWS were replaced by gun-only AK-630 CIWS and a single Osa-MA SAM launcher, while the RPK-9 ASW missiles were replaced by legacy DTA-53 twin heavy torpedo tubes. The air and surface target-acquisition radars were also downgraded to lighter and simpler systems. All this was meant to raise production rate for Soviet service and entice third-world export clients, but only half of that plan was successful. The large amount and delivery rate of export orders were compounded by the low priority of the program and the tacitly lukewarm attitude of the Navy hierarchy to what was perceived as an obsolete design to ensure that the Soviet forces would get less than a third of the Pr.1166.1 frigates ordered. The general opinion of brass and pundits alike was that that generation of light frigate had outgrown its potential, that new technologies and concepts were around the corner that would make them obsolete instantly, and that heavy frigates and light anti-submarine ships could pick up the slack until a new light frigate could enter service. While the general sentiment would be vindicated in the long term, the production rate of heavy multi-role frigates never allowed them to meet this kind of expectations, and the quest for a new MPK would still go on for several years, mostly due to the same problems that had plagued frigate development. Expanding the ASW and surveillance capabilities of the Gepard design by adding helicopter facilities had always been on the mind of its designers. Previous experience with similar frigate projects had seen their displacements and mission envelopes balloon out of control when helicopters were added into the mix, turning purported missile boats under 1000 tons into the Pr.1154 and Pr.1244.1 4000-ton frigates. The designers at Zelenodolsk were intent on avoiding this pitfall this time around, and focused on keeping the existing hull and paring down other systems until a helicopter pad and hangar could fit. The initial designs were bare-bones helicopter platforms and probably wouldn't have had any operational value. Serendipitously, a team from the Zelenodolsk KB was mandated to join the Soviet-Polish joint design committee in charge of developing the follow-on variants of the Pr.620 Kaszub corvette. From the outset, the Poles were keen on developing a helicopter-carrying variant of that 600-ton hull and, lacking any experience in the matter, insisted on making the landing, communication and handling systems as extensive and user-friendly as possible to reduce the training workload for both pilots and ship crews. Even though the original Pr.621S helicopter corvette wouldn't enter Soviet service, a number of good ideas were developed along the way and promptly integrated into the Pr.1166.3 drafts. A single hull would be completed as a prototype to the Pr.11663.0 specification, before domestic production was cut short. A handful of export ships were produced around the turn of the century, chiefly for the Indian navy, who had been so disappointed by the Pr.1166.1 that they had cut their order short mid-delivered, and returned the three ships delivered to the Soviet Union against a fresh order of Pr.1166.3. The reasoning behind such a drastic decision was never adequately explained, though some suspected an attempt at drumming up pressure by local shipbuilders eager to push their indigenous designs by smearing the quality of imported ships. On top of that, the Indian Navy would also turn out to regard the Pr.1166.3 as not much of an improvement and would rework the ships significantly shortly after acquisition. The class would have an undistinguished career in a few third-world navies, mostly carrying out public service missions. Meanwhile, the prototype SKR-209 Chaika had a more eventful though peaceful service life, being very early turned over to the Black See Fleet HQ to serve as training ship in helicopter operations, giving a first taste of at-sea operations to local and allied flying crews and mechanics. In 2001, the conversion training mission mostly over, she was transferred to the Caspian Flotilla where she served several years as a flagship of sorts, providing air support to the surveillance of off-shore installations, anti-smuggling operations and countless SAR sorties. Trials on the Chaika proved the feasibility of helicopter operations on the Project 1166 platform, but the design itself was half-baked at best and definitely not fit for modern combat. If the lessons learned with the Pr.1166.3 were to bear fruit, a significant re-design of the class would have to occur. Meanwhile, the several export clients were clamoring for a follow-on to the Pr.1166.3, which had not found much success on the international market. Only India had ordered more than one ship to replace the Pr.1166.1 they had purchased initially but found lacking in surveillance range. Ongoing work towards a more modern, better-equipped and low-observable Gepard was redirected following the first series of helicopter trials, to ensure that all future variants for Soviet service would include this most useful new weapon system. The remaining space for more usual weapon systems was cut down by the hangar, and numerous configurations were modeled and discarded without being built. In the end, the Navy selected one of the most conservative configurations, with the main space for weapon systems being on the fore-deck and amidships, with secondary spots on the sides of the hangar entrance. Helicopter facilities were mostily identical to those of the Pr.1166.3. A major departure was the engine exhaust, which replaced the central stack unchanged since the Yastreb with a twin stack set outboard from the hangar. This reduced the turbulence over the helipad during landing and freed up space at center of gravity for inboard-firing missile canisters. While the overall layout was very reminiscent of the more recent sub-classes, the new design was further set apart visually by the overall fairing over and smoothing out of the superstructure lines. After the leap backward the Project 1166.1 had made for cost reasons, the new variant was a major face-lift for the class, doing away with ubiquitous portholes, deck railings, heavy-caliber torpedo tubes and the seemingly eternal AK-630 CIWS. The new design was designated Project 1166.4 Yaguar, setting it apart from the previous series, and was laid down at Gorky shipyard in 1998. Among the first ships delivered were the first pair of a new batch for the Indian Navy, with further ships being manufactured locally. All over, more than 30 ships would be built for Soviet and export service, and production remained constant in Zelenodolsk and Khabarovsk well into the 2000s. The anti-shipping mission would come back to haunt Project 1166 again in the mid-1990s. The several latest attempts at designing a missile boat or small missile ship packing enough punch to threaten a modern heavy surface combatant had been found to be lacking: the Musson missile boat had a limited payload and was restricted to coastal areas, the Pr.1223 hover-catamaran in development around the same mission package was too expensive for mass production, and no new missile ship design was forthcoming. A major hurdle was that the required loadout (as per calculations of combat potential) for such a mission was considered to be no less than 16 Oniks missiles. Without taking launchers into account, this represented a pure missile mass of 50 tons. Apart from some retrofitted destroyers, the only combatants carrying this amount of Oniks missiles were the Grom-class 4000-ton frigates, which had themselves evolved from such a misguided missile ship requirement. By the time the Pr.1166.4 with integrated helicopter capacity was being designed, however, the Navy design commission felt that technologies had evolved sufficiently for a 2000-ton frigate to carry the critical warload as well as the necessary targeting suite (including radars, ESM, helicopter and datalink). A quick feasibility study showed that six SM-316 vertical launchers could be fitted amidships on a Pr.1166.4 hull, to the price of some reshuffling of rescue rafts and below-deck spaces. Displacement would be raised by less than 10%, which was deemed acceptable. Shortly after production of the Pr.1166.4M and Pr.1166.4E started, the first two hulls for the missile variant Pr.1166.4R were laid down, with grand plans for 15 ships built over ten years, supplying the Black Sea and Pacific each with a standing squadron of six ships with spares for maintenance and training. Shortly after completion of the first ship, acceptance trials showed that the impact of the Oniks launchers was much more serious than anticipated. While maintaining trim, the hull had lost a significant margin of stability in heavy seas, and could not reliably be sent out in high seas by anything beyond sea state 4 at full load effectively being reduced to one more coastal AShM platform. As if anything more was needed, this was compounded by the reshuffling of internal volumes, with the very deep missile tubes amidships effectively cutting the ship in two. Had it not been for the twin-stack remodeling typical of the Pr.1166.4 sub-class, above-deck passage between the aft portion of the ship and the bridge would have been impossible. As it happens, very tight corridors had to be carved out around the edges of the helicopter hangar, making an evacuation of the ship under fire a very risky proposition (without even going into the 50 tons of very flammable cargo sitting at the center of gravity). Unstable, cramped and vulnerable, the saber-toothed jaguar would never prowl the high seas hunting bigger game. Half a dozen ships were still built over the years, as the design was deemed to retain some use in coastal defense scenarios. Most would spend their career as predicted, based in Sevastopol and Vladivostok. Much as their sub-hunting half-sisters, they would often make up the centerpieces of composite missile boat squadrons, serving as mini-flagships to scout for and coordinate the actions of several smaller units. Several planned attempts to salvage the Pr.1166.4R by reducing the missile load or lengthening the hull were met with skepticism by the Navy, along with a heaping dose of resignation. At the turn of the century, the Project 1166 design had outlived its relevance, and new designs were on the way that could make better use of more versatile weapon systems to switch between missions at the drop of a missile canister. Experiments with the Project 1166 helicopter-carrying variants had shown that a combined sea-air approach using on-board helicopters was viable with low-displacement coastal units as well as with larger ocean-going ships. The Zelenodolsk design office had been dithering with follow-on 2000-ton frigate concepts since the mid-1990s, and promptly reoriented their work towards helicopter centered ships. Both a much-enhanced derivative of the Gepard frigate and a clean-slate design were put to the drawing board. The upgraded Gepard would emerge in the short term as the Project 1166.4 Yaguar, while the new ship was classified as Project 2168 Barsuk. The new new design called for a new hull that would allow more space for modern systems from the outset, particularly a helicopter hangar and vertical-launch missiles. To the surprise of some Western observers, the overall layout remained extremely classical and straightforward, and the LO characteristics were kept to a minimum. Both aspects were driven primarily by cost considerations, and secondly by the strategic assessment that coastal defense ships would mostly operate close to friendly shores under uncontested air and electronic covers that made a full-on stealth design unnecessary. Despite the leaps accomplished by ASW sensors and weapons since the 1980s, complete coverage of the Soviet coastline still called for a large number of ships, and the design was consequently pared down to better fit the constraints of mass production and export. Following the initial run of Project 2168.1, work shifted in 2007 to the series production variant Pr.2168.2, equipped with more modern sensors, electronics and weapons systems. While the UVPK-9 universal vertical missile launcher had already been deployed, this class was the first to operationally carry both the Shashka short-range SAM system and the Krab-MTs combined 2D-AESA surface-search radar, IFF and ship-to-ship data-link. After a protracted trials period, first of class SKR-227 (unnamed) entered service in late 2010, though she was not fully operational until 2012. Production proceeded nevertheless, with 5 ships in service in 2012, and 20 delivered by 2020 including the upgraded Pr.2168.1 ships: the very high commonality made for a straightforward and quick re-fit program. The need for an advanced naval support platform became apparent to the Soviet leadership around the turn of the century. The proliferation of low-observable coastal FACMs and shore-based anti-ship missiles in the neighboring countries made the threat of Soviet amphibious landings that much less of a credible deterrent as long as it was only based on ponderous landing ships and gunfire-support destroyers. While a massive over-the-horizon landing capability akin to that of the USMC needed a whole new class of ships, it was decided to concentrate on radically modernizing the landing fire support and area control. A new concept of coastal support ship was developed during the 2000s, centered around high-end air-control technologies and light multi-role smart weapons to complement the usual naval gunfire. The system was trialed on the Pr.956 destroyer Bystriy, and subsequently made part of a variant of the frigate Project 2168. The Pr.2168M variant entered service in 2013 and was produced alongside the Pr.2168.2, though in much smaller numbers. The "coastal support frigate" concept didn't pan out in service, and the undermanned, overstuffed boat lived an uneventful career as green-water multi-role escorts. And I love the B-side labeling. Love it love it love it. It should be part of the official standard yesterday. I completely concur with the above. looks really promising. Are you up to bigger vessels as well? Thanks everyone for the enthusiasm! Much appreciated! I'll be happy to discuss the content in more depth as we go on, of course. The even heavier stuff will mostly rely on your input. ah, ok sounds intresting... I do have a sort of "new batch" on the oven ATM (including pr. 11000 as well), so I would be intriqued to spy on your choises on drawing style to compare. Once I've digested everything here I might well have some more technical comments, but right now this looks to be an awesome AU. I know you have the skills and knowledge to pull this one off and its an AU very close to my own heart and interests and I look forward to seeing how this progresses.